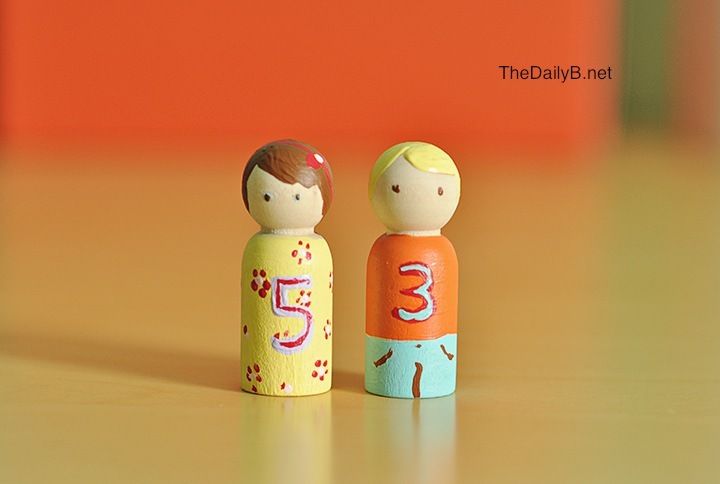 B has been asking for more people to live in her dollhouse, and recently I noticed that our local craft store had all its wooden figures listed 50 percent off. 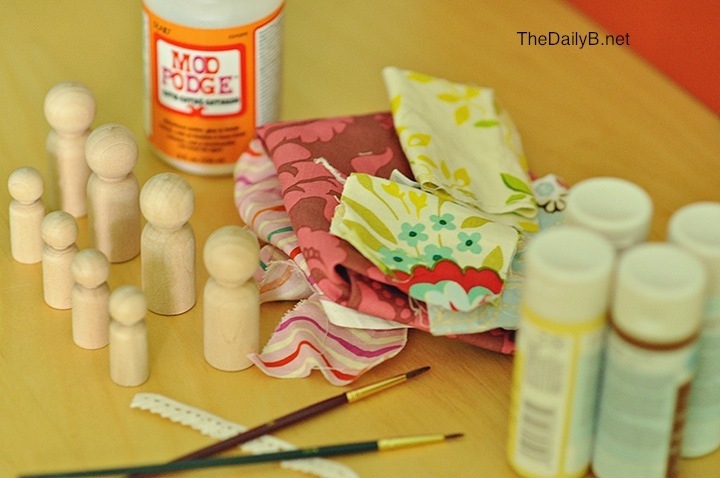 So I decided to try making some little peg people with acrylic paints and scrap fabric. Once they were completely dry, I used some spray shellac to seal them (shellac is non-toxic, making it a better choice than polyurethane for toys). I have to confess, I really got into this project. 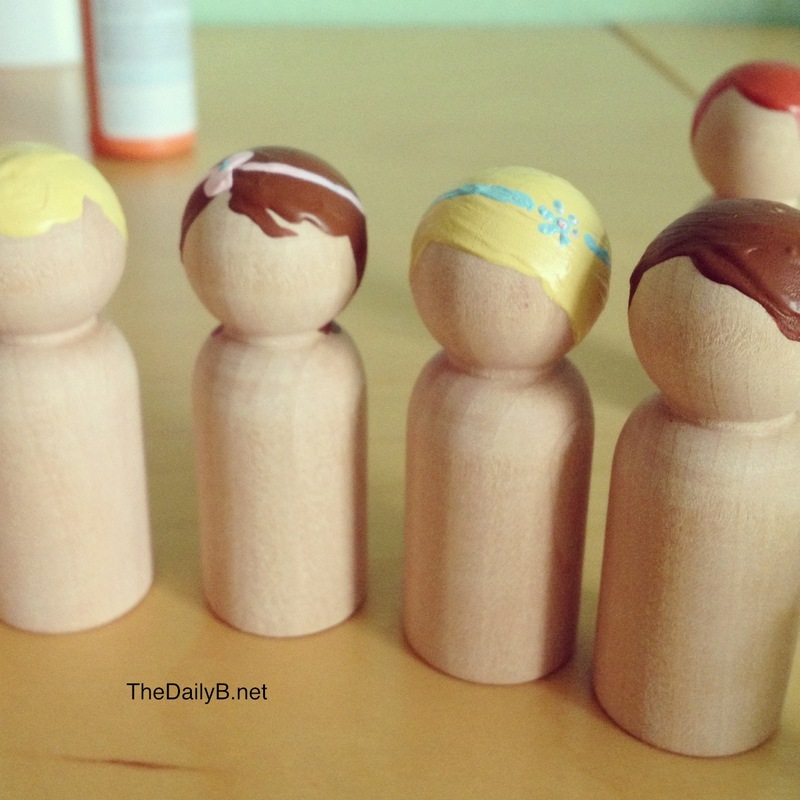 Once I realized how easy it was, I couldn’t stop envisioning new outfits and hairdos for the peg people. I locked my office door so the kids wouldn’t see what I was doing. I probably could have finished the project during one nap time, but I dragged it out over a few days, painting a few more each time the kids slept. It makes for a great rainy day…or in my case HOT August day project. These are adorable and my 15 month old would love them. Thanks for the great idea, I know what I will be doing this weekend. These are darling! 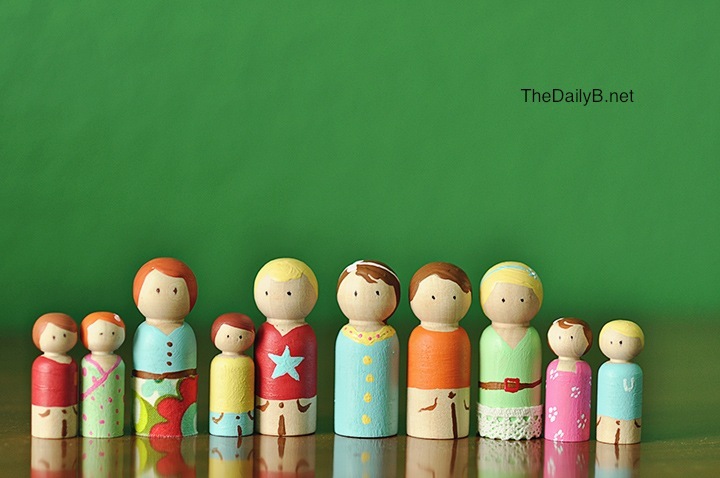 Which craft store sells the pegs? @Amy: I found them at Hobby Lobby, but have also seen them at Michaels with the other unfinished wood figures. Good luck! I love this idea. What if you gave some of them “real” hair using wool or some other yarn!